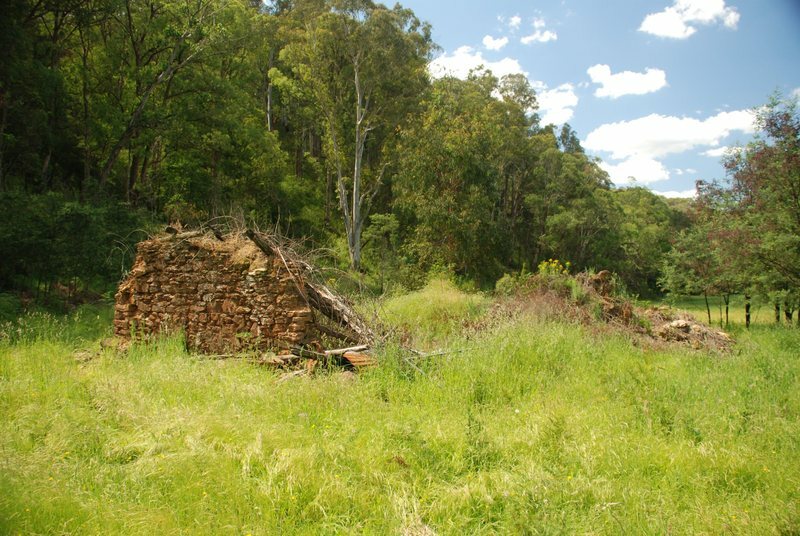 The Lyrebird Gully Hop Kiln (or Oast House) is located in a flat, clear area near the western bank of the Ovens River (West branch). The hop kiln is an archaeological place with the bulk of the material evidence existing underground. 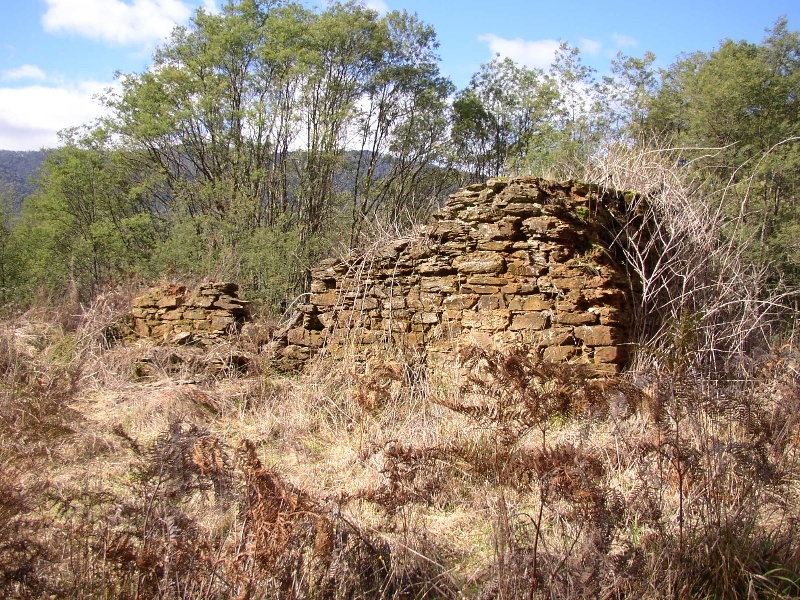 The above ground structural remains are walls, in poor condition, constructed of local sandstone set in a mud mortar. The surviving stone walls of the circular kiln chamber stand to a height of approximately 1m to 2.5m. Attached is a rectangular bagging room, 7m by 5m, with the majority of walls standing to a height of 2.5m. The interiors of the kiln chamber and bagging room are filled with stone and timber rubble. An iron drive shaft protrudes from the rubble in the bagging room. The Harrietville Oast House was built by William Grimsley, a stonemason from Bicestor, Oxfordshire, England, who migrated to Victoria during the early years of the Victorian gold rush. 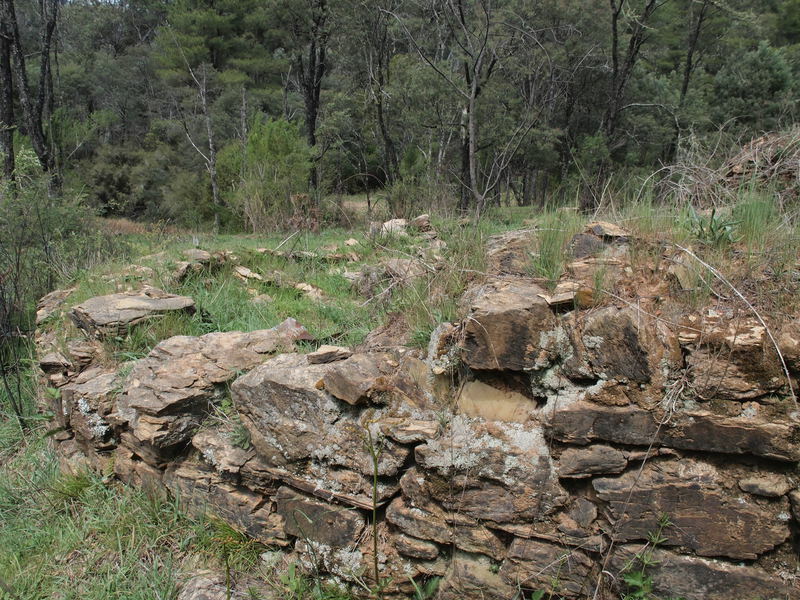 Grimsley is believed to have been mining for gold around Harrietville as early as 1854. As the gold petered out Grimsley, like many other miners, moved into agriculture. Commercial hop growing was pioneered in the district in the late 1860s. 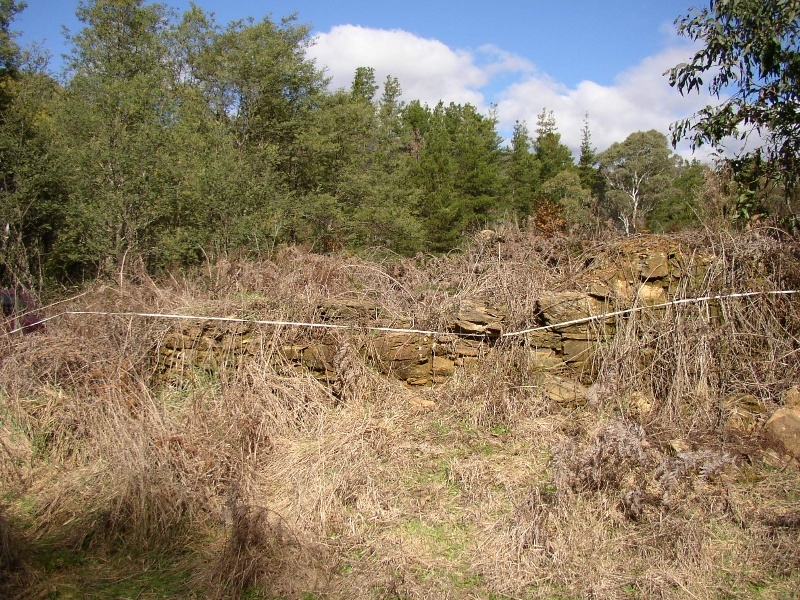 William Grimsley acquired the property (Crown Allotment 2E, Section 12, Parish of Harrietville) in 1877 and most probably his hop farming activities date from this time. The oast house was constructed of stone quarried from the property. It is believed that the building burned down sometime around the end of the nineteenth century. 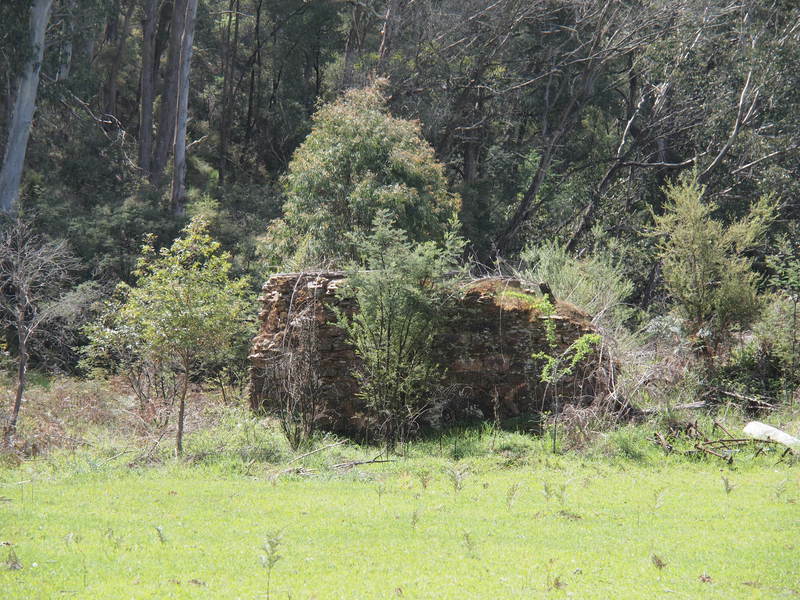 The Lyrebird Gully Hop Kiln (or Oast House) is of historical and archaeological significance to the State of Victoria. 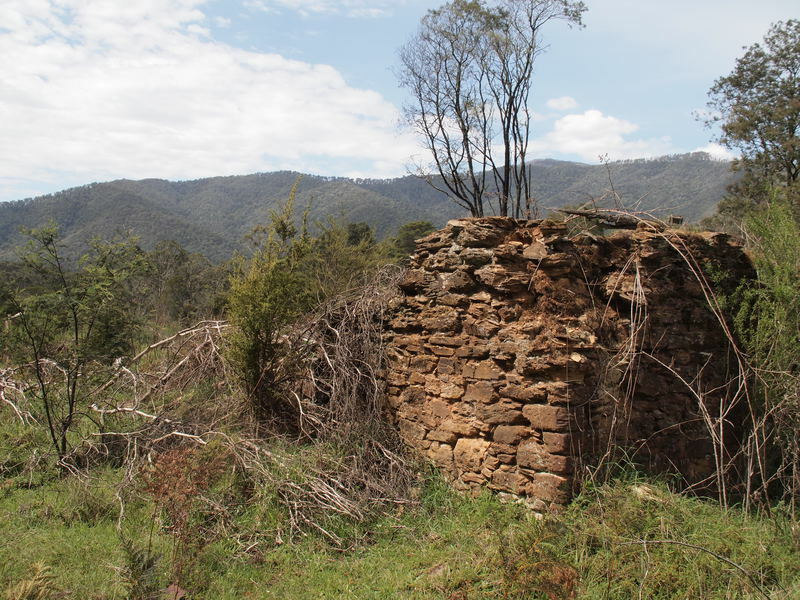 The Lyrebird Gully Hop Kiln (or Oast House) is of historical significance because of its age and association with the pioneering period of Victoria's hops growing industry along the Ovens Valley. Crucial to the kiln's significance is its style of construction: local stone with a circular kiln chamber and adjoining rectangular bagging room, reminiscent of nineteenth century kilns from parts of England. The majority of other early hop kilns in Australia do not follow this pattern, being rectangular in form and built of either brick or wood. 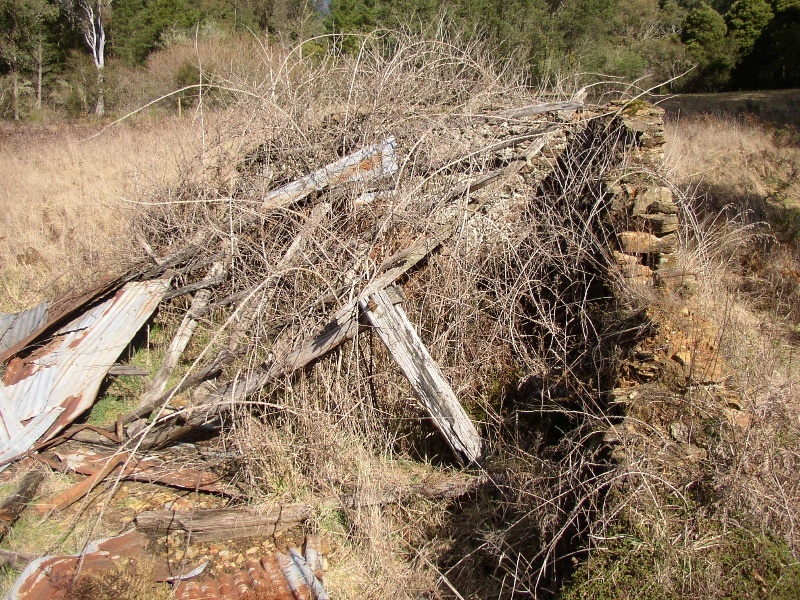 The Lyrebird Gully Hop Kiln (or Oast House) has historical importance because it reflects the enterprise of William Grimsley at an important time in the development of agriculture in the State. Like so many immigrant gold seekers, when the gold petered out, Grimsley embarked on a business enterprise that was familiar from former home. A skilled stonemason, Grimsley built his oast-house like those of his homeland, England. Therefore, his oast-house represents an example of cultural and technological transfer from one country to another. 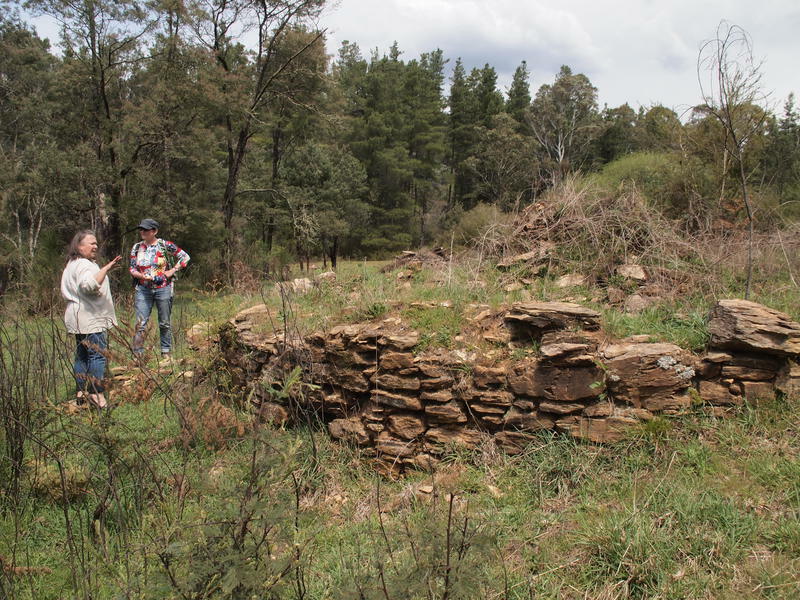 The Lyrebird Gully Hop Kiln (or Oast House) is archaeologically important as a rare industrial relic that has outstanding potential to educate people on the diversity of agricultural development in Victoria arising from gold rush settlement. Crucial to significance is the distinct possibility that there are in situ artefacts. 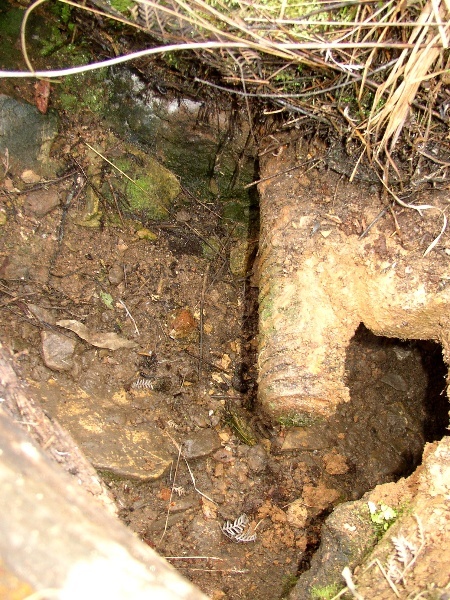 The archaeological deposits are undisturbed, buried when the hop kiln collapsed due to a fire. The archaeological deposit has the potential to produce information about the materials that were used in the construction and operation of the oast house. Abandoned after the fire, the oast-house escaped the process of dismantling and removal that commonly follows a business's closure. 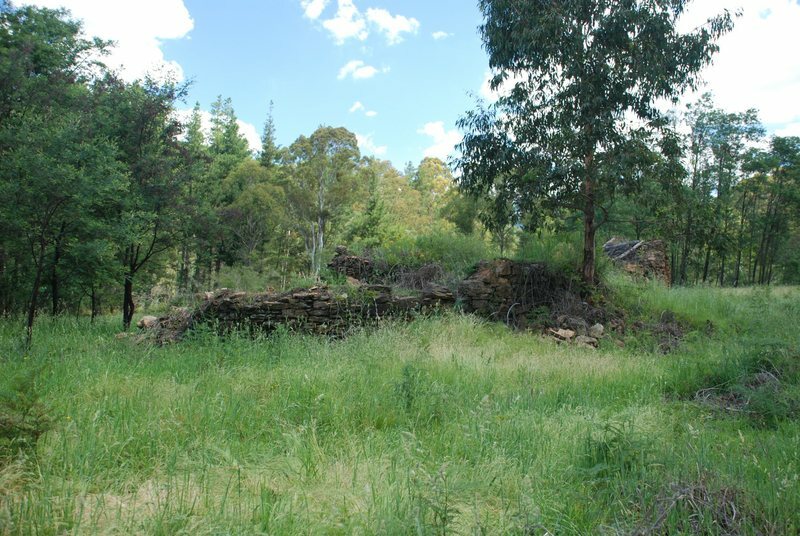 Lyrebird Gully Hop Kiln, Lyrebird Gully Road, Harrietville, Alpine Shire Council. 1. 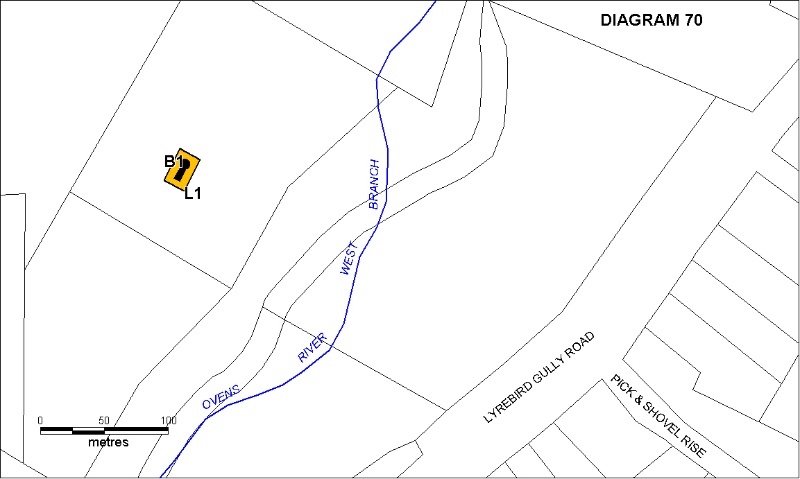 All of the land marked L1 on Diagram 70 held by the Executive Director being part of the land described in Certificate of Title Volume 8135, Folio 876. 2. All of the remains of the Hop Kiln marked B1 on Diagram 70 held by the Executive Director and all of the associated archaeological material. General Conditions: 1. All exempted alterations are to be planned and carried out in a manner which prevents damage to the fabric of the registered place or object. General Conditions: 2. Should it become apparent during further inspection or the carrying out of works that original or previously hidden or inaccessible details of the place or object are revealed which relate to the significance of the place or object, then the exemption covering such works shall cease and Heritage Victoria shall be notified as soon as possible. Note: All archaeological places have the potential to contain significant sub-surface artefacts and other remains. In most cases it will be necessary to obtain approval from the Executive Director, Heritage Victoria before the undertaking any works that have a significant sub-surface component. General Conditions: 3. If there is a conservation policy and plan endorsed by the Executive Director, all works shall be in accordance with it. Note: The existence of a Conservation Management Plan or a Heritage Action Plan endorsed by the Executive Director, Heritage Victoria provides guidance for the management of the heritage values associated with the site. It may not be necessary to obtain a heritage permit for certain works specified in the management plan. General Conditions: 4. Nothing in this determination prevents the Executive Director from amending or rescinding all or any of the permit exemptions. General Conditions: 5. Nothing in this determination exempts owners or their agents from the responsibility to seek relevant planning or building permits from the responsible authorities where applicable. Regular Site Maintenance : The following site maintenance works are permit exempt under section 66 of the Heritage Act 1995, a) regular site maintenance provided the works do not involve the removal or destruction of any significant above-ground features or sub-surface archaeological artefacts or deposits; b) the maintenance of an item to retain its conditions or operation without the removal of or damage to the existing fabric or the introduction of new materials; c) cleaning including the removal of surface deposits, organic growths, or graffiti by the use of low pressure water and natural detergents and mild brushing and scrubbing; d) repairs, conservation and maintenance to plaques, memorials, roads and paths, fences and gates and drainage and irrigation. e) the replacement of existing services such as cabling, plumbing, wiring and fire services that uses existing routes, conduits or voids, and does not involve damage to or the removal of significant fabric. Note: Surface patina which has developed on the fabric may be an important part of the item?s significance and if so needs to be preserved during maintenance and cleaning. Note: Any new materials used for repair must not exacerbate the decay of existing fabric due to chemical incompatibility, obscure existing fabric or limit access to existing fabric for future maintenance. Repair must maximise protection and retention of fabric and include the conservation of existing details or elements. Fire Suppression Duties : The following fire suppression duties are permit exempt under section 66 of the Heritage Act 1995, a) Fire suppression and fire fighting duties provided the works do not involve the removal or destruction of any significant above-ground features or sub-surface archaeological artefacts or deposits; b) Fire suppression activities such as fuel reduction burns, and fire control line construction, provided all significant historical and archaeological features are appropriately recognised and protected; Note: Fire management authorities should be aware of the location, extent and significance of historical and archaeological places when developing fire suppression and fire fighting strategies. The importance of places listed in the Heritage Register must be considered when strategies for fire suppression and management are being developed. Weed and Vermin Control : The following weed and vermin control activities are permit exempt under section 66 of the Heritage Act 1995, a) Weed and vermin control activities provided the works do not involve the removal or destruction of any significant above-ground features or sub-surface archaeological artefacts or deposits; Note: Particular care must be taken with weed and vermin control works where such activities may have a detrimental affect on the significant fabric of a place. Such works may include the removal of ivy, moss or lichen from an historic structure or feature, or the removal of burrows from a site that has archaeological values. Public Safety and Security : The following public safety and security activities are permit exempt under section 66 of the Heritage Act 1995, a) public safety and security activities provided the works do not involve the removal or destruction of any significant above-ground structures or sub-surface archaeological artefacts or deposits; b) the erection of temporary security fencing, scaffolding, hoardings or surveillance systems to prevent unauthorised access or secure public safety which will not adversely affect significant fabric of the place including archaeological features; c) development including emergency stabilisation necessary to secure safety where a site feature has been irreparably damaged or destabilised and represents a safety risk to its users or the public. Note: Urgent or emergency site works are to be undertaken by an appropriately qualified specialist such as a structural engineer, or other heritage professional. Signage and Site Interpretation : The following Signage and Site Interpretation activities are permit exempt under section 66 of the Heritage Act 1995, a) signage and site interpretation activities provided the works do not involve the removal or destruction of any significant above-ground structures or sub-surface archaeological artefacts or deposits; b) the erection of non-illuminated signage for the purpose of ensuring public safety or to assist in the interpretation of the heritage significance of the place or object and which will not adversely affect significant fabric including landscape or archaeological features of the place or obstruct significant views of and from heritage values or items; c) signage and site interpretation products must be located and be of a suitable size so as not to obscure or damage significant fabric of the place; d) signage and site interpretation products must be able to be later removed without causing damage to the significant fabric of the place; Note: The development of signage and site interpretation products must be consistent in the use of format, text, logos, themes and other display materials. Note: Where possible, the signage and interpretation material should be consistent with other schemes developed on similar or associated sites. It may be necessary to consult with land managers and other stakeholders concerning existing schemes and strategies for signage and site interpretation. Mineral Exploration : The following Mineral Exploration activities are permit exempt under section 66 of the Heritage Act 1995, a) mineral Exploration activities provided the works do not involve the removal or destruction of any significant above-ground features or sub-surface archaeological artefacts or deposits; b) preliminary non-intrusive exploration, including geological mapping, geophysical surveys, and geochemical sampling and access to shafts and adits; c) advanced forms of exploration (drilling), including the location of drill pads and access tracks where this has been the subject of on-site negotiation and agreement with representatives of Heritage Victoria, DSE and Parks Victoria, and where all significant historic site features have been identified and protected as part of an approved work plan. Minor Works : Note: Any Minor Works that in the opinion of the Executive Director will not adversely affect the heritage significance of the place may be exempt from the permit requirements of the Heritage Act. A person proposing to undertake minor works may submit a proposal to the Executive Director. If the Executive Director is satisfied that the proposed works will not adversely affect the heritage values of the site, the applicant may be exempted from the requirement to obtain a heritage permit. If an applicant is uncertain whether a heritage permit is required, it is recommended that the permits co-ordinator be contacted. Landscape maintenance : Repairs, conservation and maintenance to hard landscape elements, buildings and structures, steps, paths, paths and gutters, drainage and irrigation systems, edging, fences and gates. The process of gardening: mowing, hedge clipping, bedding displays, removal of dead plants, disease and weed control, emergency and safett garden works. Management of trees in accordance with Australian Standard; Pruning of Amenity Trees AS 4373. Installation, removal or replacement of garden watering and drainage systems. Vegetation protection and management of the possum and rabbit population. Removal of plants listed as noxious weeds in the Catchment and Land Protection Act 1994. The site has historical, cultural and archaeological importance. Crucial to significance is the form and nature of construction and buried material evidence. Through the registration it is desired to recognise these crucial values. As an archaeological place, excavation of the oast house is an activity that is viewed as being capable of enhancing significance. 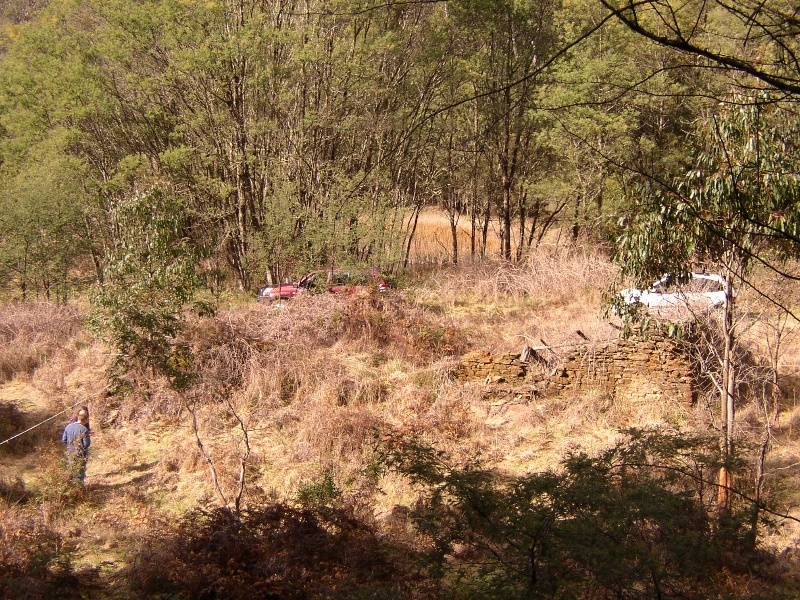 The site today is now abandoned and is very vulnerable due to its ruinous and weathered condition. Implicit in the listing is the recognition that the most important aspect of the place lies buried by rubble and weeds, in the surviving evidence of the operational layout of the Oast House prior to its destruction by fire. Coupled with this, is the potential of retrieving artefacts including tools, machinery components and personal objects left behind by William Grimsley. Recording of the underground evidence, interpretation of the site, and publication of the information will provide a resource that will dramatically expand awareness and significance of the site and provide an invaluable resource for future research. The purpose of the permit exemptions is to allow a level of use that does not impact on the identified crucial heritage values. New developments on the registered land (eg a garden shed) will not be permit exempt.